Wildflame Productions is pleased to announce a BAFTA Cymru win for Huw Talfryn Walters in the Photography: Factual category for ‘Frank Lloyd Wright: The Man Who Built America’ a BBC Wales/BBC Four commission. This is Huw’s third BAFTA Cymru award. Producer and Director, Ian Michael Jones, also received a nomination for Director: Factual for the same programme missing out to none other than Wildflame’s own Claire Hill who, along with Laura Martin-Robinson, won with their insightful documentary, Richard And Jaco: Life With Autism produced with ie ie Productions. Frank Lloyd Wright: The Man Who Build America was produced by Wildflame Productions for BBC Four, in Summer 2017 and is now available as part of Flame Distribution’s international catalogue. 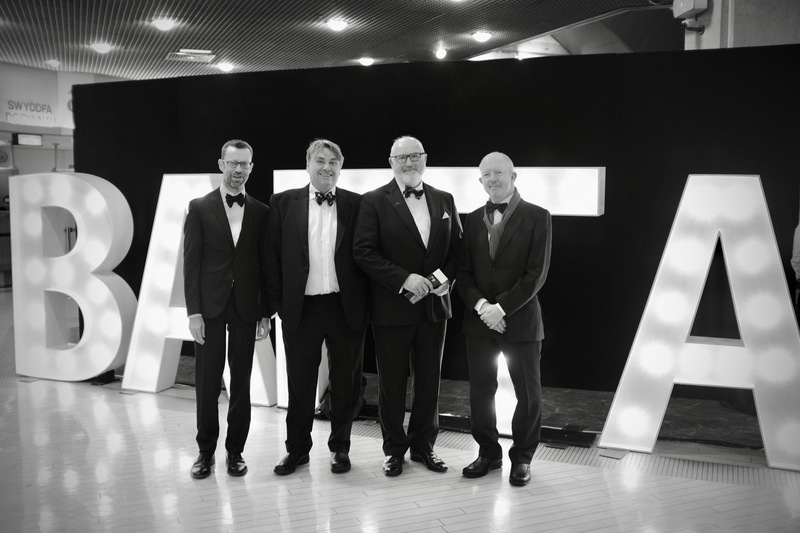 Image from left: Ian Michael Jones (Producer) , Huw Talfryn Walters (Director of Photography), Paul Islwyn Thomas (Executive Producer & CEO Wildflame) and Jonathan Adams (Presenter).